Welcome to the two-part blog which will be #5 in the blog series on “Developing Multi-tenant applications on the SAP HANA Cloud Platform”. in Part2, we showcased a technical overview of the demo application built in the series and in Part3, the setup of the project for building the multi-tenant application was discussed. In Part4, we looked at bringing in multi-tenancy in the persistence layer and initialized the data for our application. In this blog (Part 5.1), we will look at one of the important aspects of application development and operations, namely, Security and Identity Management. We will establish trust between HCP and the consumer’s IDP and import/update the users required for our application in the IDP (SCI). In Part 5.2, we will look at assigning application specific roles to the company users (from IDP), configure SAML assertion attributes to be passed from SCI to the HCP application and validate the complete setup. Emily from ABC PetroCorp, has already setup the subscription in HCP for the Pollution Monitoring application provided by ITeLO Consulting. Now Emily wants to make this app available for the employees in her company, ABC PetroCorp. She has plans to reuse the corporate IDP of ABC PetroCorp, but wants to understand how access and authorization to the application can be controlled. A consumer of any HCP application can hook up his/her corporate IDP to the HANA Cloud Platform and configure the security and identity management of his application. For the sake of demonstration, we will showcase the SAP HANA Cloud Platform, Identity Authentication service (earlier known as SAP Cloud Identity/SCI) which can provide simple and secure cloud-based access to the business processes, applications, and data you need. 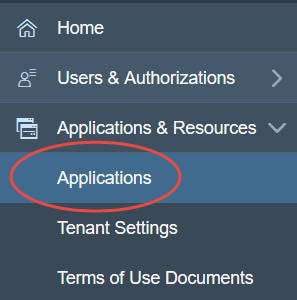 Emily who is the HCP administrator and has administrator access to the SCI tenant will execute the following steps to use the SCI tenant as the user store for her multi-tenant app subscription on HCP. First of all, she will need to setup trust between the SCI tenant and the HCP account of the consumer ABC PetroCorp. Open and login to the SCI Administration Console. Login to the HCP account cockpit. In the Trust Management screen, click on Edit. Change the Configuration Type to Custom. Click on Generate Key Pair to generate a signing key and certificate for the account. Click on Get Metadata to download the metadata xml file containing the configurations created above. This will be used to setup trust with SCI. 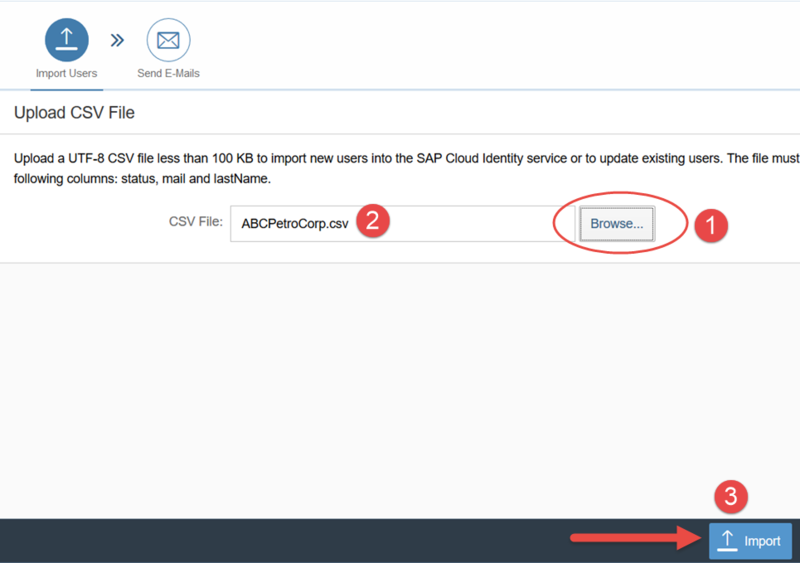 In the Applications pane, click on Add to add a new application entry, corresponding to your HCP account. 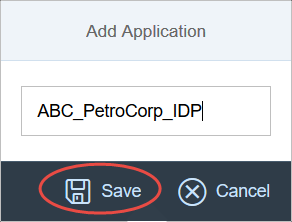 In the pop-up enter the name as ABC_PetroCorp_IDP and click on Save. A new application entry is created. 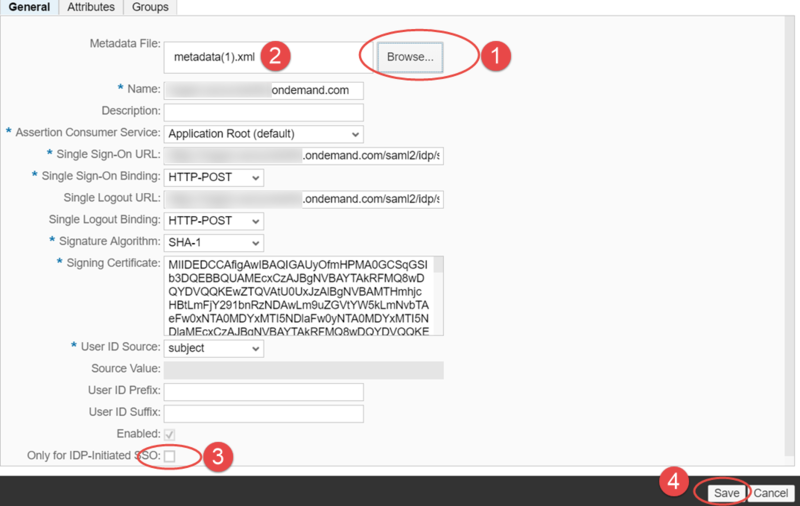 In the created application, go to Trust tab and click on SAML 2.0 Configuration. downloaded from your HCP account.Note that the details of the configuration are automatically filled. Click on Save. The configuration is created and saved. The Home URL is updated.Note: Account name can be obtained from the HCP cockpit. In the settings page click on SAML 2.0 Configuration. Click on Download Metadata File to download the xml file containing the configurations of the SCI tenant. This will be used to setup trust with HCP. 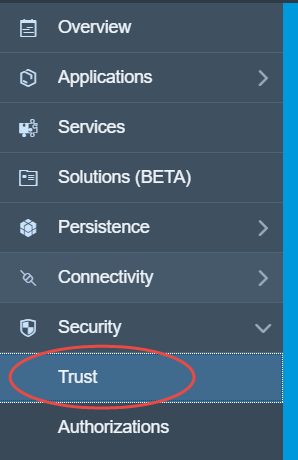 Go back to the HCP cockpit and navigate to the Security -> Trust page and select the Trusted Identity Provider tab. Click on Add Trusted Identity Provider to add the details of the SCI tenant. navigate to select the metadata.xml file downloaded from your SCI tenant. Note that the details of the configuration are automacally filled.Unselect the Only for IDP-Initiated SSO option if selected. Click on Save.The configuration is created and saved. Ensure that the identity provider is selected as Default. Completed! We have successfully setup the trust between the consumer HCP account and the SCI tenant. Emily would need to ensure the users of the application are registered with the corporate IDP of her company ABC PetroCorp. Ideally, the corporate IDP (SCI in this case) would already have the master list of all users in the company. For demonstration purposes, we will import some demo users into the SCI tenant, who will then be given appropriate authorizations and will be used as the End users of the multi-tenant application. 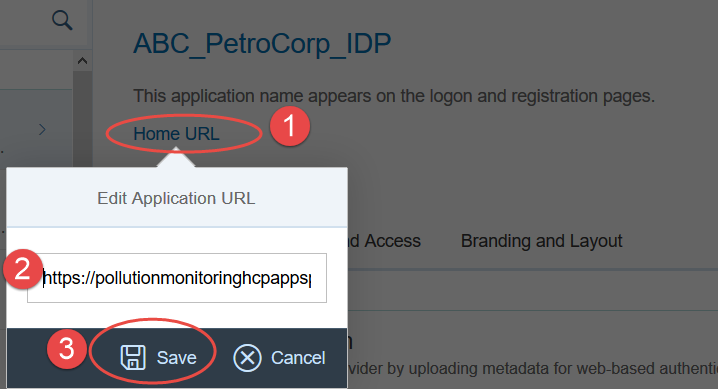 ABCPlantSupervisor: This user will be the supervisor of a particular plant of ABC PetroCorp and should be able to view the data of his plant only. ABCAreaManager: This user will be the manager of an entire area, which may consist of many plants of ABC PetroCorp. He will be able to view the data of all plants in his area. <<insert your email id>> with john.smith and Replace <<insert_your_company>> with sap. Save the file. 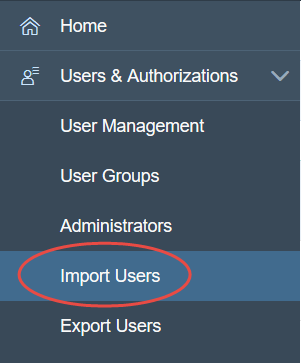 In the SCI Admin Console, navigate to Users &Authorizations -> Import Users. Select the appropriate application name from the list of Custom Applications. (with correct email details).Click on Import. (hence a proper email id should have been updated in the csv file).Click on Send to send out the activation emails. (1 for Area Manager and 1 for Plant Supervisor).Click on the links to activate and provide a password and activate your SCI user accounts. 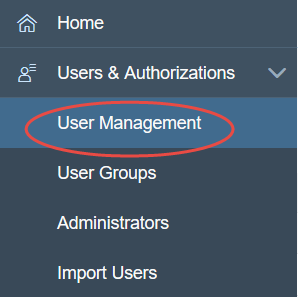 In the SCI Admin Console, navigate to Users &Authorizations -> User Management. The Area Manager and Plant Supervisor users should be present in the list. Note the User ID for the two users, so that future logins are easy. Company information. This will be reused and explained in Section 4.Click on the Plant Supervisor user. Scroll down to the Company Information section and click on Edit. Update the Company field as 101 (201 for XYZ EnergyCorp) and click on Save. The user details are updated. Completed! We have successfully imported the users to the ABC PetroCorp application in the SCI tenant and updated the plant information for the Plant Supervisor user. In this Part 5.1, we have completed Sections 1 and 2 where we established trust between the HCP account and the IDP (SCI tenant). We also imported the necessary application users into SCI. In the next part of this blog:Part 5.2, we will look at Sections 3 to 5, i.e. 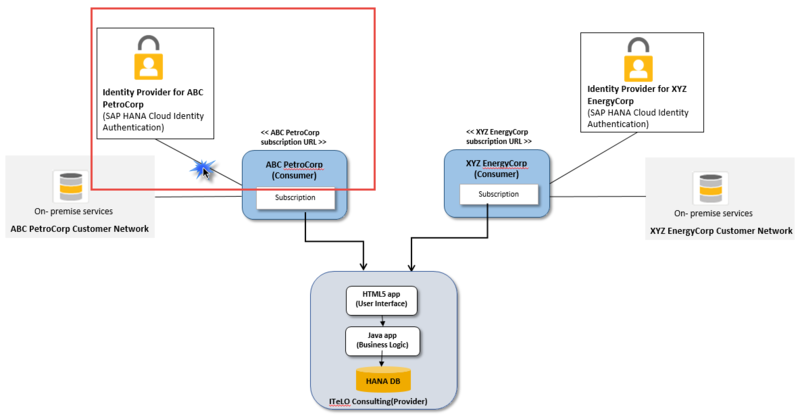 assigning application specific roles to the IDP users, configuring SAML assertion attributes to be passed from SCI to the HCP application and finally validate the complete setup. Great Blog Manju. 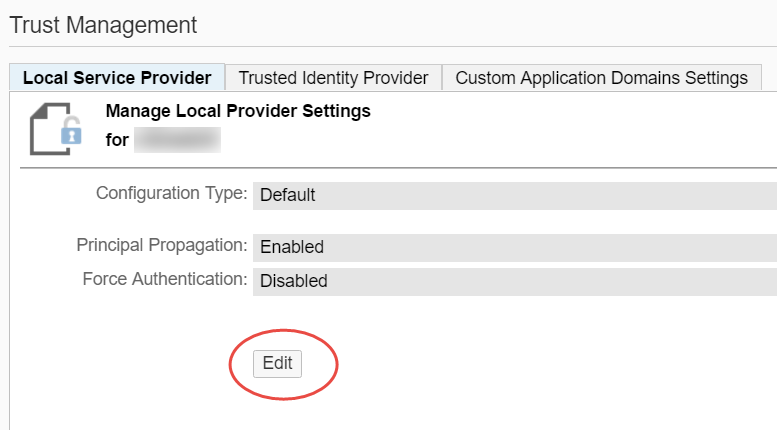 In the steps above, “Click on Add Trusted Identity Provider to add the details of the SCI tenant”, any reason we arent using the “Add SAP Cloud Identity Tenant” option ? I have found this to be simpler and quicker. 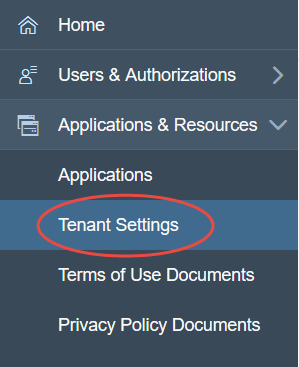 As you mention, the Add SAP Cloud Identity Tenant option could be used to setup the configuration but one of the prerequisite is that the SCI tenant should be registered to your current SAP user (s-user). If this is the case, we can easily setup the integration, else we will not be able to find the tenant details when we try to add. I wanted to detail the steps that are needed to integrate the two, irrespective of this requirement. 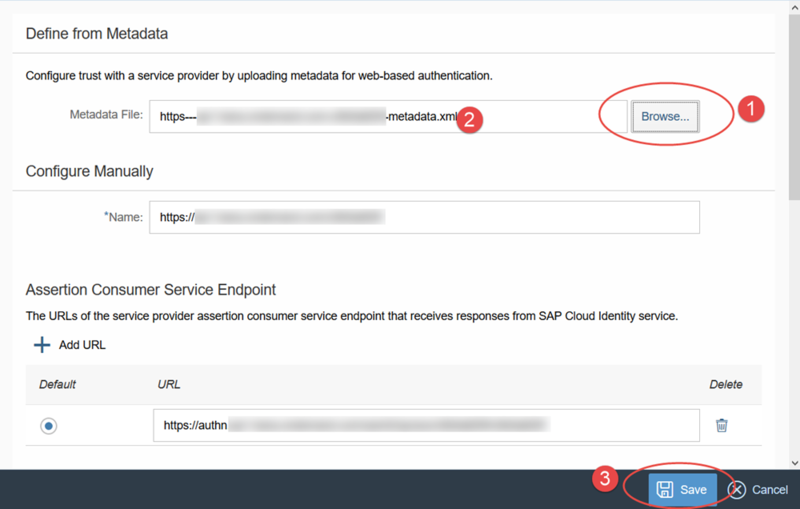 Also, the steps that are detailed in the blog for adding trusted identity provider, could be used not only with SAP Cloud Identity as the provider, but with any other SAML-complaint identity provider too.